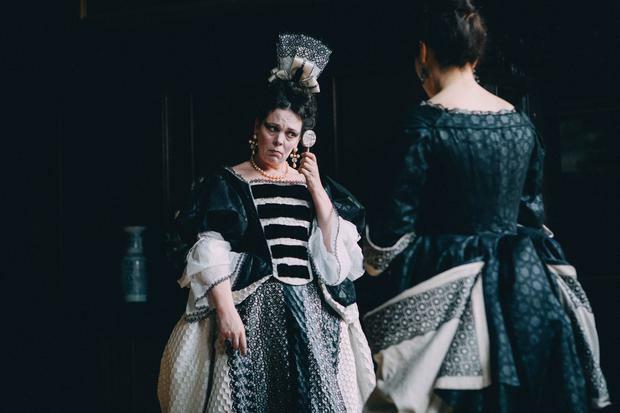 Who better to play back-to-back monarchs than Olivia Colman? With Oscar rumours abuzz, she tells Gemma Dunn about her royal reign come 2019. The Favourite. Pictured: Olivia Colman as Queen Anne. PA Photo/Twentieth Century Fox Film Corporation/Atsushi Nishijima. All Rights Reserved. All rise for Her Majesty Olivia Colman. 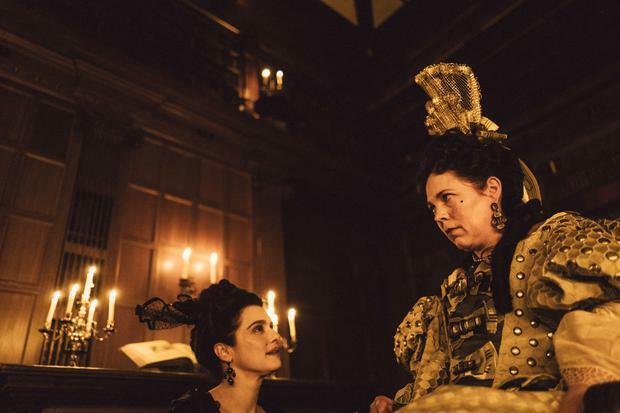 This year promises to be a majestic one for the British star, who will not only debut as Queen Elizabeth II in Netflix drama The Crown but is hotly tipped for Oscar success for her riotous take on Queen Anne in The Favourite, too. Having won best actress for the latter at the Venice Film Festival and the British Independent Film Awards (BIFAs), plus landing a Golden Globe nomination, it’s certainly a reign on track for glory. 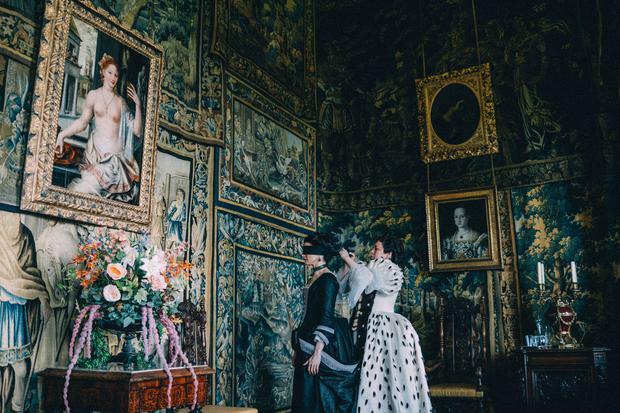 The first period film from director Yorgos Lanthimos, The Favourite – set against an outrageously aristocratic tableau of 18th century royals – is pitched as a dark yet comic story about a little-known period of British history. 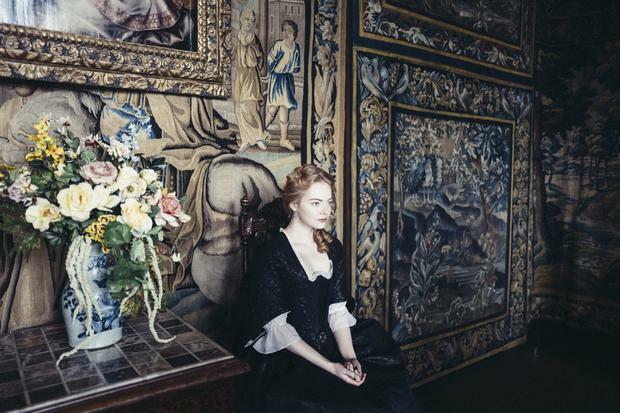 The Favourite. Pictured: Rachel Weisz as Sarah Churchill and Olivia Colman as Queen Anne. PA Photo/Fox Searchlight Pictures/Yorgos Lanthimos. All Rights Reserved. 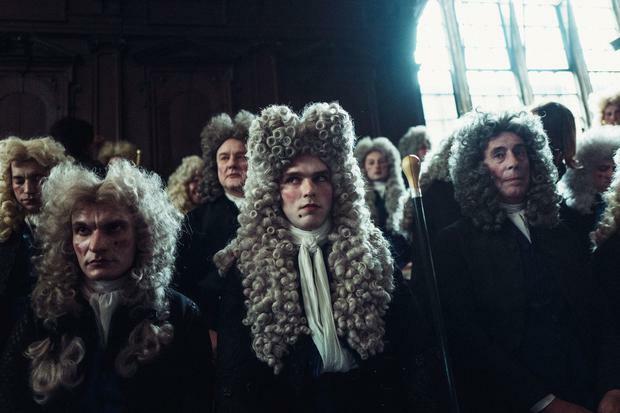 Led by three powerhouse women, the court is made up of: Queen Anne (Colman), the last (and historically most ignored) of the Stuart line of Britain’s rulers; her life-long intimate friend and political adviser Lady Sarah (Rachel Weisz), and Sarah’s penniless cousin-turned-social-climbing chambermaid Abigail (Emma Stone). It goes without saying Colman – who had previously worked with Lanthimos on The Lobster – jumped at the chance to lead the big-screen epic. The Favourite. Pictured: Emma Stone as Abigail Hill. PA Photo/Fox Searchlight Pictures/Yorgos Lanthimos. All Rights Reserved. “I was so excited,” cries the 44-year-old, visibly thrilled at the prospect. The Favourite. Pictured: Nicholas Hoult as Robert Harley. PA Photo/Twentieth Century Fox Film Corporation/Atsushi Nishijima. All Rights Reserved. “It took quite a long time to get people’s timings and things together, waiting to get cracking,” she recalls. The Favourite. Pictured: Rachel Weisz as Sarah Churchill and Olivia Colman as Queen Anne. PA Photo/Fox Searchlight Pictures. All Rights Reserved. Given Anne was encumbered by grief, gout and insecurity – the grief triggered by the unfathomable loss of 17 children – there was no question it would require Colman to delve into a dark place. “She must have had extraordinary strength,” she says. The bereavement in particular was hard to fathom. “That was the main thing for me that struck a chord,” Colman says. The Norwich-born thespian, who came to prominence for her supporting role in the Channel 4 comedy series Peep Show, is a total joy to be around. In 12 short years – her film career only began in earnest in 2007 with Hot Fuzz – the Bristol Old Vic alumni has climbed the ranks at a spectacular pace. She has shifted effortlessly between TV, film and stage with equal aplomb to secure her title as one of Britain’s and now Hollywood’s most sought-after talents. An unassuming national treasure, it seems even an appointment on The Crown’s throne is unlikely to elicit a wobble from the queen of class. Marking her consecutive run of monarchs, Colman will next take over from Claire Foy in the third series of the hit drama. Jumping forward to 1964-1970, the three-time Bafta winner (Broadchurch, Twenty Twelve and Accused) will head up the next two series opposite the likes of Helena Bonham Carter as Princess Margaret and Tobias Menzies as Prince Philip. While you might assume she’d be used to her status by now, mother-of-three Colman says the two royal interpretations couldn’t be any more different. “I find the harder one (to play) is Queen Elizabeth because everyone knows what she looks like, everyone knows what she sounds like, and everyone has an opinion on whether the casting is right,” says Colman, who also played the Queen Mother in historical comedy-drama Hyde Park on the Hudson. “I am loving the job. I am loving trying to play her, but I find her harder,” she reiterates. Has she found her co-stars and the crew have begun to courtesy on set? “They say, ‘Of course you can, you’re the queen’. She adds: “But because we’ve finished The Favourite now – it’s out there – it’s like our baby going out into the world and I hope people like it. Does she find that aspect of the job hard, the public ruling? “I love doing the work so much, it’s almost a shame that people have to see it,” she confides. “Because people who weren’t there get to say what they think about it, which is quite hard. She says the film is not “just for women, it’s for great men, too”. “It’s sort of a litmus [test]” she reasons. “If somebody goes, ‘No, I didn’t like it’, I sort of think I wouldn’t like them – ‘Well OK we’re never going to get on’ – which is a little bit narrow-minded of me.